Listed below are the answers to the most commonly asked customer questions. We hope these will help you to place your order efficiently so you can avoid the time and trouble of calling us. 1. Q. How do I place my order? On line at GRADUATEAFFAIRS.COM with a credit card for payment. By email or fax with a credit card for payment. By mail with a check or money order for payment. DO NOT send individual checks from each student! Make all checks payable to: Graduate Affairs and mail to the address found on the bottom right hand corner of the order form. By fax, email, or mail with a school purchase order. Minimum order $100 plus shipping & handling on all purchase orders. Terms net 10 days. 2. Q. Is there a minimum order requirement? A. We have a minimum pre-paid order of $25 plus the shipping & handling on all single FIRST TIME orders. Orders placed by purchase order require a minimum $100 plus the shipping& handling. Add on orders placed after the main order has been submitted will only be charged the actual retail cost of the merchandise ordered plus the applicable shipping & handling charge. 3. Q. I already placed my main order, but now we have a new student that needs a gown. Can I just add it to the order I already placed? A. No. We process hundreds of orders a day during our peak season months of April, May & June and it becomes very difficult to add on to your main order. In fact, your main order probably has already shipped! YOU MUST SIMPLY PLACE A NEW ORDER following the information found in answers number 1 & 2 above. 4. Q. How do we measure the children? A. Children should be measured head to toe with their shoes on according to the diagram. Gowns are tailored to fall mid-calf on the child. 5. Q. Should we measure each child's head? A. No. Caps are designed as a one size fits all cap with a piece of elastic on each side of the crown. 6. Q. Can we wash or dry clean the gowns? A. Neither is advisable because some color loss could occur and the fire retardancy that has been applied to the fabric will be reduced. The gown is designed to be worn and saved by the graduate as a souvenir of his/her first graduation. 7. Q. How long will it take us to receive our order? A. We will ship your order to arrive at the required destination within two weeks from the date your order is received and paid for in our office. If we have less than two (2) weeks to deliver, a Rush Charge is required in addition to the regular shipping and handling charges found on the bottom left hand corner of the order form. WE SHIP ACCORDING TO YOUR NEED DATE YOU SUPPLY US WITH FOUND ON THE TOP OF THE ORDER FORM UNDER "DATE ORDER NEEDED". Custom orders please see "Shipping Info" page. 8. Q. Are there year dates on each tassel? A. Yes, each tassel has a beautiful gold year date charm attached. 9. Q. What colors do the tassels come in? A. Any of the 42 solid colored or 2 color combination gown colors listed on the order form. We also have a tricolor red, white & blue tassel available. 10. Q. Do you print the children's names on the diplomas and information in the announcements? A. No. Our customers print all information on the diplomas and announcements. 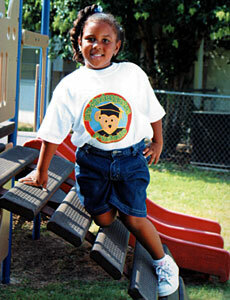 These products are only available for pre-school, kindergarten, pre-kindergarten, and headstart orders when requested. 11. Q. How much is deducted from the price if we don't want diplomas or announcements? A. There is no additional discount if you choose not to include diplomas and/or announcements in your package. THESE ARE FREE ITEMS THAT MUST BE REQUESTED ON THE ORDER FORM. YOU MUST CHECK THE APPROPRIATE BOXES ON TOP OF YOUR ORDER FORM WHEN SELECTING DIPLOMAS AND ANNOUNCEMENTS. If they are left blank, no diplomas or announcements will be included in your order. ANNOUNCEMENTS ARE NOT INCLUDED ON RUSH ORDERS. 12. Q. What do the FREE diplomas and announcements look like? A. The FREE diploma and announcement selection is limited to those you see pictured in the brochure. WE CANNOT GUARANTEE THE DIPLOMA YOU SELECT, but will do our very best to supply those as requested. We suggest you print on the order form "NO SUBSTITUTIONS PLEASE" to insure we do our best to provide you with the diplomas you request. We generally supply the generic "Diploma" pictured just to the left of the announcements in the brochure. 13. Q. What is included in the package? A. A gown, cap, tassel, diploma and 2 announcements (announcements not included on rush orders). You may select from any of the additional accessories or teddy bear items to create your own package by adding the appropriate price each. PLEASE EMAIL TO INQUIRE ON SPECIAL PRICING THAT MAY BE AVAILABLE ON 100 OR MORE OF LIKE ITEMS. 14. Q. Can we purchase gowns only? A.	Gowns only may be purchased at $2.00 off the listed package price. 15. Q. Will teddy bear items and accessories be shipped with the caps & gowns? A. No, teddy bear items and accessories are always shipped separate from the caps & gowns. While they are shipped separately, we try to ship so they arrive approximately the same time and definitely before your requested delivery date. PLEASE WAIT UNTIL A FEW DAYS BEFORE YOUR REQUESTED DELIVERY DATE TO EMAIL TO INQUIRE ABOUT THE STATUS OF AN ORDER. We must prioritize orders during our peak months and MAY need every day up to and including your requested delivery date to deliver your order in its entirety. 16. Q. Do I need to include the Order Listing with my order? A. No, and please don't. The Individual Gown & Accessory Order Listing is for YOUR RECORDS. It helps summarize your order for the ORDER FORM, the only form we want and need. 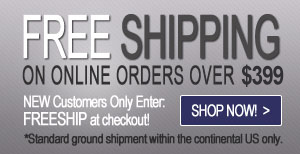 Additionally, your Order Form must be completely filled out to insure your order is shipped on time. INCOMPLETE ORDER FORMS ARE YOUR RESPONSIBILITY AND MAY BE SUBJECT TO ADDITIONAL HANDLING CHARGES. Often overlooked items include: tassel colors, diploma and announcement requests, credit card number, security code, AND expiration date. 17. Q. How is my order shipped? A. Caps & gowns are shipped FedEx in the contiguous 48 states. Teddy Bear items, accessories, and all orders to Hawaii & Alaska are generally shipped US Priority mail so please include a PO Box or mailing address if different from the shipping address. We like to have your mailing address on file to mail you future brochures and offers from GRADUATE AFFAIRS. International orders are generally shipped USPS Global Priority Mail. 18. Q. Do you allow for refunds? A. No, We do allow for exchanges and credit on future orders only. 19. Q. 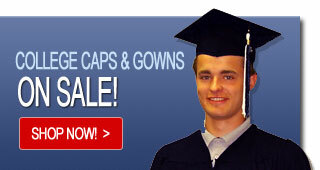 Do you sell caps & gowns for middle school, high school and college/university graduations? A. 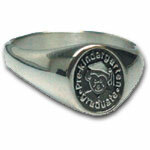 Yes, we provide a complete line of apparel and accessories for all graduates. Please visit our website at GRADUATEAFFAIRS.COM for more information.